Scan4U Scanning Services is so confident that our leading edge technologies and techniques, combined with our experienced operators and our desire to go the extra mile, will be more than able to cope with any job or project that comes our way, that we are willing to make an offer completely unique in our marketplace – If you are unhappy with the quality of our work, we will return everything you paid to us! 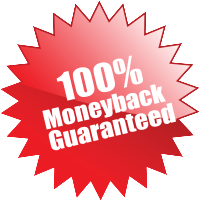 When you give us the job, ask for our Guarantee and we will initially process 10% of the job, or 100 pages, whichever is the smaller. You will then be shown the results in order for you to evaluate the quality of our work and, if you are not happy, then you will be given your money back, no questions asked. Plus you can keep the sample!